This 3-hour private tour in the company of an obsessive shopper and fashionista is designed to bring you to the fun stores and the unique items you are dreaming of, at the right prices, anywhere across town. Where we go and what we shop for is all up to you. 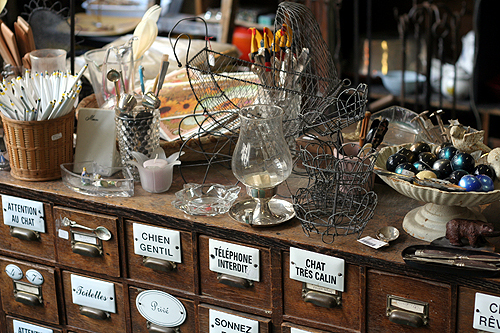 For this private vintage shopping tour will be customized to you: depending on what you are looking for – clothes vs. shoes vs. jewelry – and on your style – contemporary vs. vintage vs. high-end etc., we may head for the Flea Market for estate jewelry, for the Marais district for one-off creators, for Saint-Germain for furniture fabrics, for Jourdain / Buttes Chaumont for recent trends etc. To finally find these “uniquely you” items you could never find on your own, and to further polish your education on Paris fashion and style. Good for single travelers but also for small parties that include teenagers etc.